The in­no­va­tive­ly de­signed Dokamatic table is the fast way to form large ar­eas of slab. The sys­tem is op­ti­mised to give short forming-times, and copes well with vary­ing struc­tu­ral-de­sign and ge­o­met­ri­cal re­quire­ments. Save on man­hours and crane time: with the 'DoKart plus', the ta­bles can eas­i­ly be trav­elled to their next lo­ca­tion by just one man work­ing on his own. 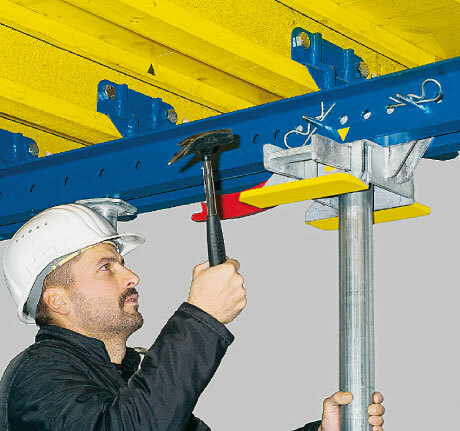 With their field-proven 'top' quality, the Doka formwork sheets, 'H20 top' beams and 'Eurex top' props ensure reliability and a long service life. The flexurally rigid link with the tableform superstructure increases the load capacity of the 'Eurex top' floor props by 10 kN – from 20 kN to 30 kN in the case of a 'Eurex 20 top' prop, and from 30 kN to 40 kN in the case of a 'Eurex 30 top' prop. Some simple steps and just a few blows of the hammer are all it takes to fix, change or remove the props. 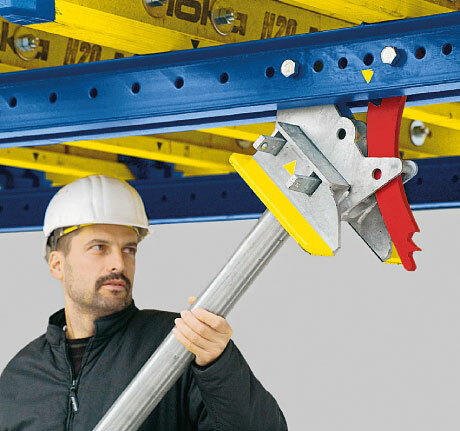 The integrated quick-acting prop connector makes it possible to adapt the tableforms very quickly to all different jobsite tasks. 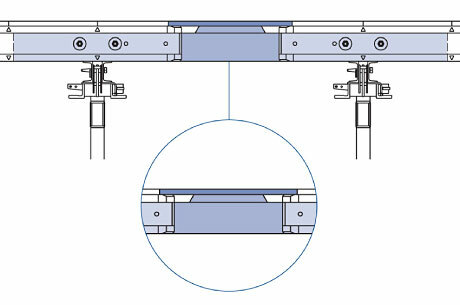 The tilting mechanism of the Dokamatic swivel-head 40 is very easy to operate. 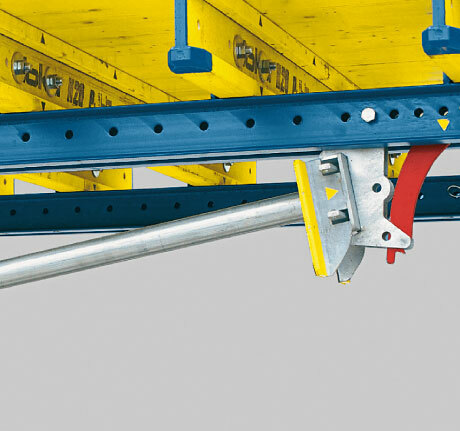 To enable the tables to be lifted out across parapets and railings unobstructed, the props can be locked at an angle of either 75° (as shown in picture) or 90°. 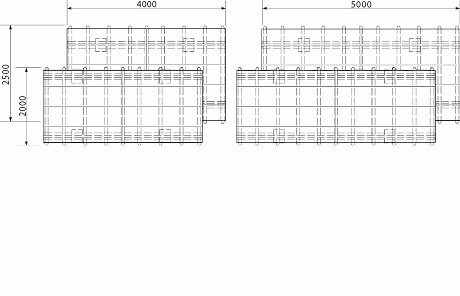 Dokamatic insertion beams are used to integrate infill zones into the system. 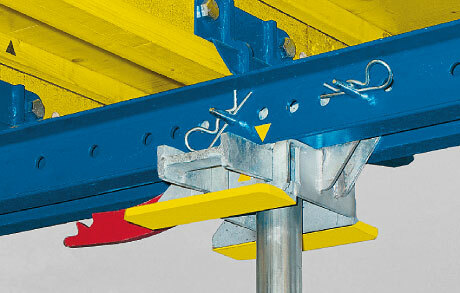 These insertion beams are pushed in or out as needed, and provide the support surfaces for the formwork sheeting. The infill zones and the tables are repositioned together, which saves even more time. 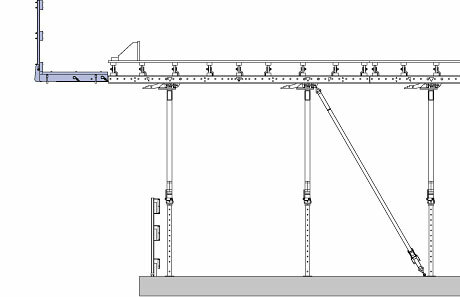 The Dokamatic table platforms are located directly on the work-deck level, so they provide high safety. This does away with the need for extra working and protection platforms on the building – and for the erection work that this would require. 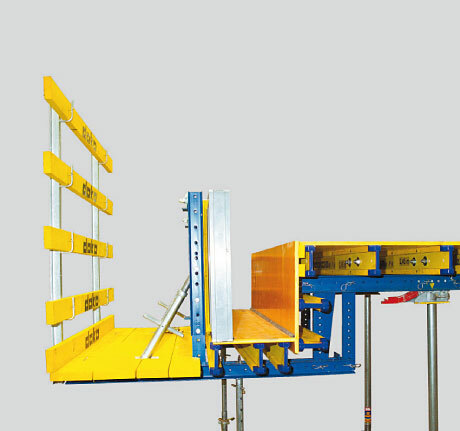 For slab heights of up to approx. 7.00 m, the applicational range of the Dokamatic table can be extended by 1.50 m with the Dokamatic table frame. 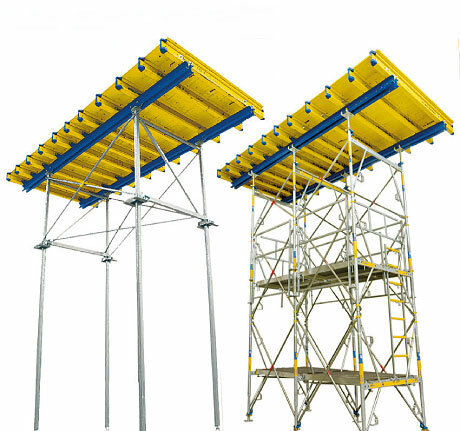 For slab heights of over 7.00 m, the Dokamatic table can easily be combined with the Load-bearing tower Staxo 40 or the Load-bearing tower Staxo 100. 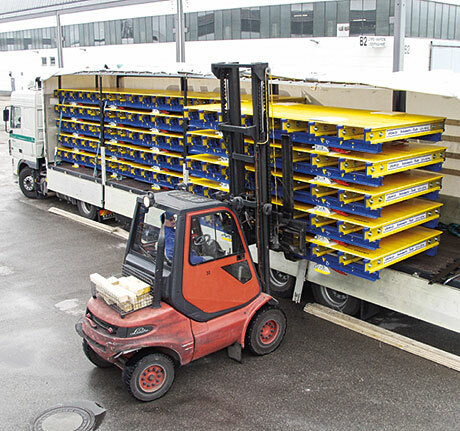 Thanks to their compact design, the Dokamatic tables can be loaded onto a truck on top of one another in a very space-saving way, making for improved logistics and reduced shipping costs. Thank you for your interest - Dokamatic table. Thank you very much for your interest - Dokamatic table.